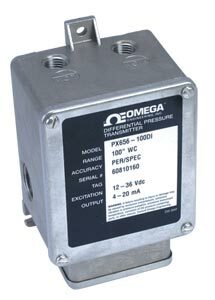 Differential Pressure Transmitter with two accuracy versions, for dry clean gases. To Order the High Accuracy PX657, (0.15%). See Part Number Builder below.